BBC has appointed Nick Andrews as the new Head of Commissioning. 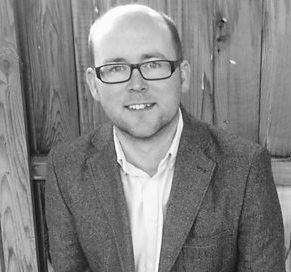 Andrews is currently BBC Wales’ Head of Development and will lead BBC Wales commissioning across television, iPlayer and interactive platforms. “This new role offers the chance to lead a first-rate commissioning team and I’m looking forward to meeting and collaborating with producers and content-makers from across Wales and the rest of the UK. BBC Wales already has a strong reputation for commissioning content of real scale and ambition and I’m looking forward to building on that success” Nick Andrews said. As Head of Commissioning, he will join the Board of BBC Wales, as well as the newly-formed Commissioning Group which brings radio, television and online together for the first time to share cross-platform ideas and seek out bigger, bolder content. In a wide-ranging career, Andrews has an impressive track record of winning network commissions including The First World War From Above and Scott’s Hut for BBC One, BBC Two’s Operation Crossbow and his contribution to the development of BBC Three’s The Call Centre. Nick also led planning for BBC Wales’ season of programming to mark the Dylan Thomas centenary. As well as his focus on development, he is also an award-winning producer and director. His documentary Roger: Genocide Baby won him the BAFTA Cymru Breakthrough award and it was followed by another BBC Three film, I Woke Up Gay. He has also worked for Radio 1, BBC Radio Wales and as a director on The One Show.